I have never listened to this podcast, but it sounds great. Thank you for sharing, Holly! Oooh I love the idea of this! I am constantly listening to podcasts but I actually don’t really listen to any bookish ones! Shame on me. It sounds like a fascinating way to revisit these books that have meant so much to so many people – myself included. I just noticed this podcast recently too! 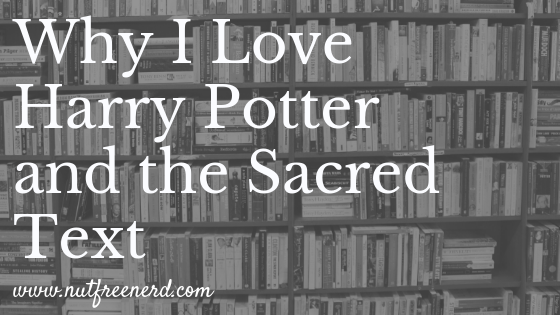 I love it – I don’t read along either because I have read the books SO many times I always know what they’re talking about! 😅 Great post! I’ve only listened to a couple of episodes of this podcast, and I love it. I just want to wait until I’m either more of a mind to pseudo-reread Harry Potter through it or actually reread it. I tried it, and I tried /really/ hard to get into this one, but I just couldn’t. Oh, wow, this sounds amazing! I’ve reread the HP series ten times now, and each time I reread it, I feel like there’s always something new I discover about the story and myself. The philosophy of the podcast sounds fascinating, and I think it would be interesting for me to “reread” the HP series again via a podcast with new perspectives than the ones I already have. This is fascinating! I double majored in Religious Studies in college along with English and actually wrote my senior thesis on religious themes in Harry Potter, so I will have to check this out!